It’s not exactly news that the CIO role has undergone a significant transformation over the past few years, going from an IT leader tasked with keeping the trains running, to a strategic partner with a seat at the leadership table. But what about the rest of the table — are the occupants of the other seats experiencing as much change? Hillary Ross thinks so. As IT Practice Leader at Witt/Kieffer, she’s observed an evolution across the C-suite, from the emergence of new roles like the chief digital officer, to the rise in prominence of CISOs and CNIOs. 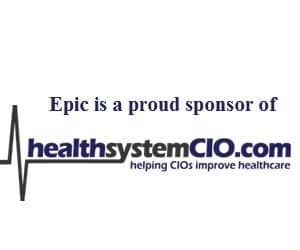 Recently, healthsystemCIO.com chatted with Ross about the trends she is seeing with respect to healthcare IT leadership roles, how these developments will impact the CIO’s strategy, what organizations are ultimately looking for in a CIO, and what she believes is the cornerstone in the industry’s advancement. Gamble: Hi Hillary, thanks so much for taking some time to speak with us. Let’s start by talking about the role of the chief digital officer. Where do see it going in the next year or so? Ross: We see the role as gaining momentum and increased importance for healthcare organizations. Historically, it’s been part of the office of the CIO, but with the transformation we’re seeing, there’s movement toward separating this role from the daily operations of the CIO’s office and making it more multidisciplinary across the enterprise. Through the CDO role, organizations are looking for an executive who is going to develop and implement a digitally-enabled clinical and business process in support of the overall strategic goals. Gamble: What are you seeing in terms of numbers? I imagine there aren’t too many chief digital officers at this point. Ross: It’s interesting. We did a survey about four months ago, and found that there were only eight health systems in the country with a dedicated chief digital officer. But things are moving – and changing – so quickly. So then, we’ve received several inquiries for this role. And so I believe when we do this survey a year from now, we’re going to see a dramatic increase. Gamble: What type of background do you think is most valuable for those in the CDO role? Ross: When we looked at the eight CDOs that came up in our research, there weren’t any patterns in terms of their backgrounds. They all seem to have come from different backgrounds. A few had previously been CIOs — I thought we’d see more of that, and I still think we might in the future. Some were CEOs of innovation companies, one was an informatics nurse, and a few even came from outside of healthcare. I believe we’ll continue to see that, because although the role of chief digital officer is new to healthcare, it’s been around for years in other industries. But it was very interesting to look at their backgrounds. Gamble: What do you think will be the key factor in more organizations hiring a CDO? I’m sure some of it is in convincing the board it’s necessary. Ross: Yes. It’s always going to be resource-driven. That’s the nature of business. It’s going to take a visionary CEO or COO to recognize the importance of the role, and see that it will enable the strategic goals of the organization. That, I believe, is what will drive the recruitment of this role. Gamble: Right. 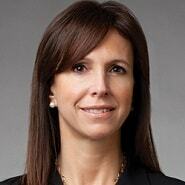 What are some other C-suite roles that are gaining traction? Ross: One that immediately comes to mind is the Chief Data Officer. Data has always been important, but now there’s so much unstructured data, and so we definitely see, as a key role going forward, a chief data officer who can develop a strategic roadmap, and oversee the governance, analytics, and security over the data. Perhaps there’s a dyad relationship with another role that’s on the rise, which is the Chief Health Informatics Officer. That’s the clinical arm; it provides clinical expertise along with data expertise. Both of these positions will be critical for health systems going forward. Gamble: What distinguishes the Chief Healthcare Informatics Officer from the CMIO? Ross: We always have to be careful with titles because a lot of CMIOs are doing data analytics, and are doing what some consider to be the work of the CHIO. When you think about it, the CMIO started as a bridge between IT and clinicians in terms of implementing the EMR. That position is extremely important in terms of upgrades and enhancements, as well as optimization. That in and of itself is a fulltime job, and many CMIOs are still practicing part of the time. But the CMIO is traditionally an EMR-focused role; whereas the Chief Health Informatics Officer is centered on taking the data from the EMR and analyzing it to improve quality, patient experience, and safety, reduce costs. That defines the difference. Another important IT role is the Chief Information Security Officer. That continues to rise in prominence in healthcare. I think some organizations are grappling with it, and may think it’s sufficient to have a director of information security. But for the most part, organizations are finding they need a senior level chief who oversees security on an enterprise level, and helps to create a culture of security. With all the threats that are out there, health systems need someone who can prepare an organization, and perform triage if there’s an attack, first by stabilizing and containing the problem, then diagnosing the issue, and starting the recovery process. And of course, help the organization to learn from it and move forward. What we’re finding is these positions are in high demand, and there’s not a huge qualified census of talent. And so compensation has been a huge issue for healthcare systems because many of these roles come from outside industries that pay better. Organizations have to get creative to try to attract these leaders and retain them, because if they’re not competitive compensation-wise, and they aren’t offering other benefits, they won’t attract experienced CISOs. Or if they do attract them, they’re recruited out easily. So that has certainly been an issue for healthcare systems. Gamble: From what we’ve learned by speaking with CIOs and CISOs, it seems there has been more of an effort recently to start at the ground level and try to recruit more students into IT security, but I imagine it’s going to quite a bit of time to see the fruits of this. Ross: Exactly, and health systems need that level of leadership not to just to protect the data, but the organization itself. During a recent CIO search Witt/Kieffer was doing at a hospital system, we chatted with the CEO afterwards, and she said she’s worried about medical devices being hacked. That becomes a patient safety issue, because it can be a matter of life or death. And so it really requires a caliber of expertise that can oversee all aspects of security across the organization. Cybersecurity threats can not only be a significant disruption; they can potentially shut down a hospital, and leaders need to be cognizant of this. Gamble: Sure. We’ve seen the scary incidents play out, and nobody wants to be in that position. Now, when you look at the emergence of roles like the chief data officer or the chief digital officers, how does this change the landscape for CIOs? Ross: I think over the years we’ve seen the Office of the CIO evolve from someone just running the shop and keeping the wheels of the system moving, to being a critical strategic partner to the system who reports to the CEO and has a seat at the leadership table. The CIO has very much evolved and is a critical role to the organization and a critical partner to these other roles. As it becomes more collaborative, it continues to rise in prominence. It’s very interesting.